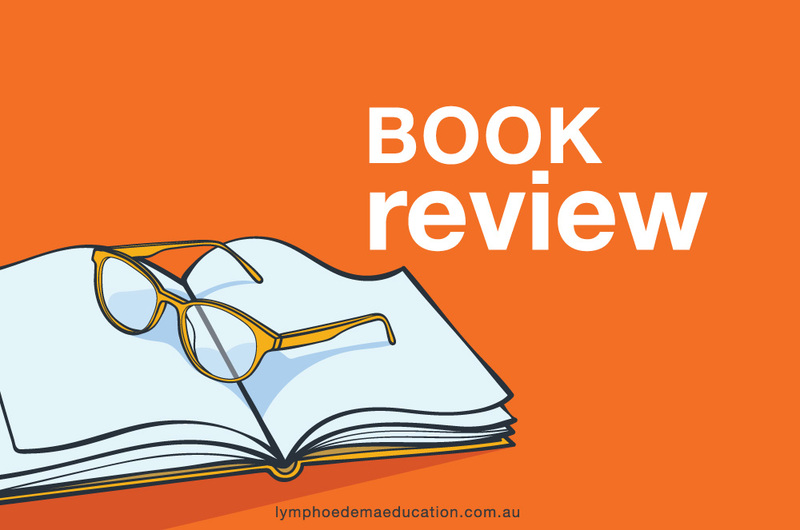 Authors: Dayan, E., Kim, J. N., Smith M. L., Seo, C. A., Damstra, R. J., Schmeller, W., Frambach, Y., Carmody, M. A., Földi, E., & Rockson, S. G.
As a lymphoedema practitioner for over 26 years I have seen all the stages of lymphoedema, lipoedema and mixed aetiologies. During this period I have changed my management strategies in line with the increasing body of research evidence and with clinical experience. One area I feel I have been inadequate, until recent times, is the management of lipoedema. If the presentation has been lipolymphoedema my clinical skills in lymphoedema have assisted but pure lipoedema has often left me scratching my head. I am sure this is a similar scenario for many lymphoedema practitioners. The past 10 years, and in particular the last five, has shed some light on the aetiology, pathogenesis, diagnosis and treatment of lipoedema. The compendium – Lipedema – The Disease They Call Fat: An Overview for Clinicians provides an excellent resource for practitioners wanting to learn more about this subject. 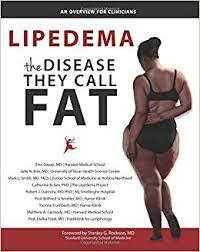 This publication, produced by the Lipedema Project, grew out of the collaboration of the Lipedema Think Tank. This group consisted of internationally renowned clinicians, surgeons, research scientists, therapists and and most importantly patients from many parts of the world. It offers a thoughtful and concise overview of this often misdiagnosed condition for clinicians, healthcare professionals and consumers. Epidemiology and clinical features. Including four stages of lipoedema and five types of lipoedema. Imaging tests that may assist in differentiating lipedema from other conditions. Excellent photos/ animations and illustrations to explain the different stages, types of lipoedema and differentiating these with other conditions. Clear and concise explanations which are aided by tables that show comparisons. Take home message that even though lipoedema isn’t influenced by diet its important that any concurrent obesity is addressed as this will impact on lipedema and its progression. The aetiology and pathogeneisis of lipoedema is not fully understood but theories include an increase in VEGF. The size of adipocytes are more varied and larger in lipoedema. Rapid proliferation of adipocytes results in local hypoxia and adipocyte necrosis or cell death and recruitment of macrophages. Typical onset of lipoedema is at puberty or periods of hormonal variation such as pregnancy and menopause. There has been frequent observation of mother to daughter inheritance but the gene responsible hasn’t been identified. Compression is useful to support fat lobules and reduce oedema in the later stages. Exercise is useful for weight control and to assist oedema reduction in the later stages. Complex physical therapy is generally unhelpful in pure lipoedema where the problem is excess fat accumulation rather than excess fluid or lymphatic dysfunction. Liposuction can reduce the volume and therefore take the pressure off lymphatic vessels. Does lymphatic compression occur prior to stage 2? My past experience has found intermittent pneumatic compression useful in stage 2 and 3. If this is the case there must be lymphatic involvement, although not clinically observed. Perhaps in the future devices such as Impedimed’s SOZO will be able to identify the quantity of fat and fluid in the earlier stages. Are there standardised, internationally recognised, post operative protocols for liposuction in this population? Are there studies that show how long compression is required after liposuction? I assume if the fat has been removed the lymphatic system can work properly? How long does the fat reduction, following liposuction, remain? As the cause of the lipoedema hasn’t been fixed does the fat re-accumulate over time? If this occurs do these individuals require further surgery or do they go back to a stage 1 of this condition? This compendium is an excellent, up to date overview of lipoedema and it management and is relevant to all health professionals. Where further information is required an extensive reference list has been supplied.